"It can get more than a little uncomfortable honouring dress codes in the warm-weather months. What a stroke of luck then that our Panama Business Suits are cut from lightweight merino wool in a clean, plain weave. Corozo nut buttons add a finely-tailored finish." "Brilliantly British, Prince of Wales is quite possibly the smartest pattern known to man." Value for money, and superb quality. To complete my panama suit in a 3 piece combo. Why would the outside does not indicate what's inside? It's deserve an attention. Let's multiply from the top and let the world follow its' suit. 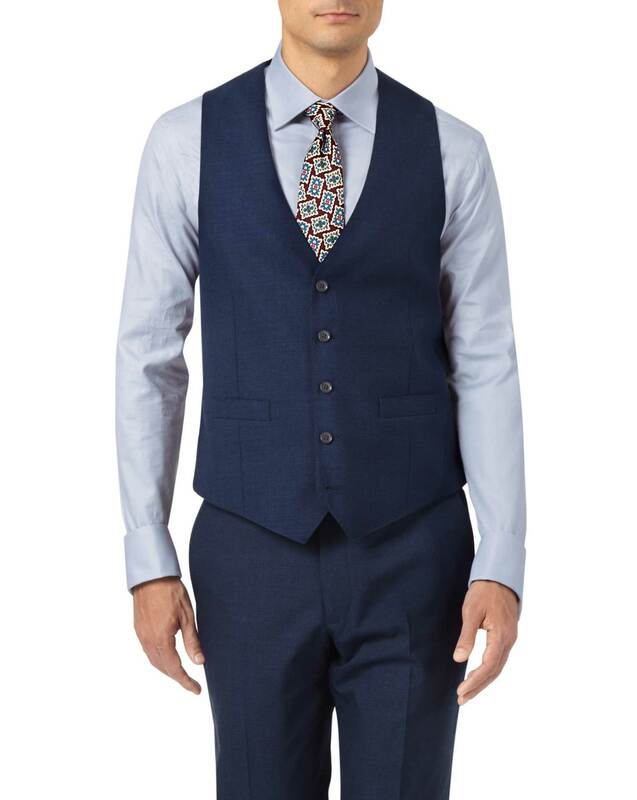 Beautiful vest, the cloth is very nice.